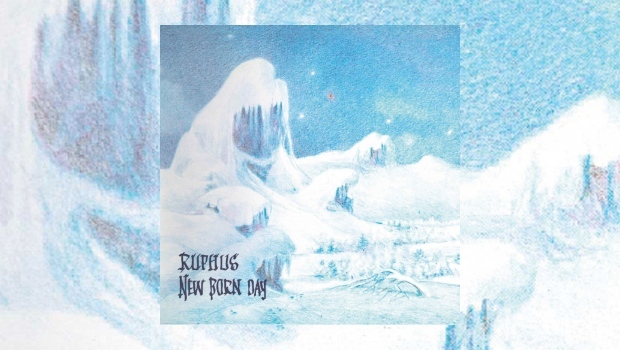 During my time reviewing albums I have become very interested in the great music being produced by the Norwegian music scene, therefore when I saw this reissue album by the Seventies band Ruphus my curiosity was tested further. The fact that the debut album from this band is being reissued by Karisma Records and remastered by Jacob Holm-Lupo of White Willow upped the interest further. Now with my current obsession with all things Norway, aside from the music I love to visit the country and learn its language, it seems the right time to become acquainted with one of Norway’s historical leading lights. Ruphus are seen as the flagship of Norwegian progressive music, formed around 1970 and continuing until 1981. There were many band members with only two or three as a constant. They started out playing with a harder prog rock feel but evolved through the years to become a leader in the jazz rock scene. Karisma have taken the decision to re-release the band’s entire catalogue of studio albums, with artwork by Anders Kaardahl going to create a nice reissue. There are familiar sounds and influences of the Seventies within the music, at times reminiscent of Gentle Giant, Caravan, Van der Graaf Generator and, at times, Uriah Heep. That said, New Born Day establishes a sound that is their own, the influences are just the building blocks that helped to achieve that. Ruphus’ music is very much of its time, rooted in the Seventies, but Jacob’s remastering has given it a new lease of life and fresh sound. In fact, I think, this album would stand up if it were made today, albeit with the intention of creating a retro sound. The musicianship is of a high standard and is a pointer to the future albums they went on to make. One of the main features is the use of the two vocalists, whose voices are a great counterpoint to each other, fitting together well, but also complementing each other. The album kicks off with Coloured Dreams, the guitar providing punchy lines with the organ setting the tone and driving the melody, here Rune Sundby’s vocals give the song a Van der Graaf Generator feel which changes with the introduction of Gundy Aspaas lovely vocals. The dual vocals work to very good effect on the melodic Scientific Ways, which is further enhanced by some lovely flute. The title track begins with an organ sound, not dissimilar to Uriah Heep, along with a prominent and pulsating bass before the vocals join in and the guitar lines run over the top. This album is most probably the bedrock on which the future of Norwegian progressive music was built. Throughout the album the band demonstrate their abilities, sounding very tight. This is an album that still feels relevant today, despite its Seventies origins, and the sensitive remastering helps to make an interesting purchase, available on CD, vinyl and a strictly limited run of 500 copies on blue vinyl.